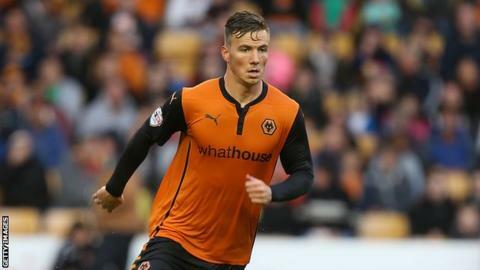 Wolves midfielder Lee Evans has signed a new three-year contract, with an option for a further year. The 20-year-old signed from Newport County in January 2013 and has made 34 appearances since then for the Molineux club, scoring twice. Evans also netted for Wales' Under-21 side in their draws against Finland and Lithuania this month. "I'm delighted to have signed the new deal. I see it as the next stepping stone in my career," he said. "I know sometimes people think that players get a new contract and start to relax - that's not what I am going to be doing. "I want to kick on now, keep improving and trying to keep my place in the team," Evans told the club website.